Richard touched on the role of the regulator in his article earlier the week. Since that piece was published, we have been swamped with stories and examples from punters who have turned to the Northern Territory Racing Commission (NTRC) for “fairness”, only to have their claims completely rejected. Bookmakers licensed in the NT include: Bet365, Betchoice, Betezy, Betstar, Centrebet, Luxbet, NT TAB, Sportingbet, Sportsbetting (Hamish Davidson), Sportsbet and Tom Waterhouse. The NTRC is established under the “Racing and Betting Act NT“. (d) do all such acts and things as it considers necessary or desirable for the proper regulation and control, in the interests of the public, of bookmakers, horse-racing, trotting and greyhound-racing..
(d) to reduce any adverse social impact of betting. The NTRC pledges to provide fairness and integrity to all persons engaged in racing and betting. 1. RE: Removal of the minimum bet rule and the subsequent changes to terms and conditions at Bet365. “Surely it is unethical, not to mention discriminatory, to allow and support practices where “unintelligent” bettors are able to lose infinite sums of money to “bookmakers” yet punters with any modicum of intelligence/ display of profitable behaviour are weeded out to the point of rendering the placement of any bets a futile exercise? Fairness would dictate that if “bookmakers” are free to completely restrict profitable customers then they should also be compelled to restrict those who actively display at risk behaviour and lose large sums? However, we both know such a suggestion is folly and will never occur. Is it really that unreasonable to expect “bookmakers” to allow smart bettors to bet to win $1k on racing selections as a fair balance when they freely those who don’t bet with such intelligence to lose infinite sums of money, potentially putting unknown stresses on their own personal finances and those of their families? “The removal of the Minimum Bet Rule and the placing of restrictions on a client’s account is not a valid dispute as prescribed in Regulation 17. Despite this the Racing Commission is able to make the following determination pursuant to the wider provisions of Section 85 of the Racing and Betting Act. The Northern Territory Racing Commission recently removed the requirement for On-Line Sports Bookmakers Licensed in the Northern Territory to stand to lose pre‑determined amounts on wagering transactions. This decision acknowledges the structural differences between on-course and on-line bookmaking. The Commission is aware that some members of the racing media and a large number of punters are disappointed with the Commission’s recent decision. In response to these concerns the Commission is making this statement and providing a more fulsome rationale for its action through release and posting of the full Decision of the Commission on its website. The former Minimum Bet Rule was introduced in response to complaints from account holders over capping of fixed odds win wagers with punters in some cases restricted to win miniscule amounts, and to align the obligations of on-line bookmakers with those on-course. The technical realities of internet operations made it so that rather than stake clients to the minimum required under the Rule, many Sports Bookmaker Licensees simply closed the accounts of those who regularly benefited from the Rule. Assessment of brand and reputation risk fall to respective Licensees to determine and it is for them alone to decide how best to attract and retain clients. Customers are free to take their business to other operators or wager into the Pari-mutuel pool at any time or where possible take advantage of wagering services provided by On Course Bookmakers. It is the belief of the Racing Commission that going forward a commercially realistic balance with respect to alternative available wagering product will be struck to the benefit of the broader gambling public. 2. RE: Removal of bonus winnings on a subsequently restricted account at Bet365. “One day I was attempting to place a horse racing bet of $300 and was restricted to around $3. I then saw that I received an email from Bet365 notifying me that restrictions have been placed on my account. Around two weeks later, Bet365 made a transaction on my account “Bonus Balance Removal” and removed around $800 from my account – what I assume to be an initial bonus bet of $200 and associated winnings. When I state that they placed restrictions making it almost impossible to turnover the required amount, they say, as per their conditions that they are not required to accept any bet. The latter term makes it near on impossible to fulfill the first term. I believe this represents grossly unfair conduct. I understand that I had 90 days to turnover a certain amount to ensure winnings from bonus bets can become withdraw-able, but how can Bet365 take this money away after severely restricting my account before this period expires? “This dispute does not relate to a specific wager not paid to the client, it relates to restrictions being placed on the account by the bookmaker and also the difficulty encountered by the client in utilising free bets because of the restrictions as a result of being able to meet turnover requirements. Also, winnings relating to turnover requirements have been removed. The bookmaker has stated that they “…acknowledge that restrictions placed on Mr X’s account would have made it difficult to reach the $1200 turnover figure however we reserve the right to decline all, or part, of any bet/wager requested at our sole and absolute discretion”. 30) The striking of a wager between a bookmaker and a punter is an agreement founded in contract law. The bookmaker has invoked their reserved rights to enforce the terms and condition of the promotion which included the turnover requirement and expiration clause as well as their right to refuse all or part of any wager. These rules have been approved by the Racing Commission and more importantly accepted by Mr X when he opened and operated the account. The Racing Commission is not empowered to intervene in such an event to undo a contractual arrangement between parties that has seemingly been applied to its letter. On both occasions, the fallback explanation of the NTRC seems to be that “the bookmaker has applied the accepted terms and conditions correctly”. It’s clear that the NTRC are placing licensees desire to generate greater profits well and truly ahead of their objects of maintaining fairness and integrity for all participants. They are approving Terms and Conditions that are simply unfair. There is no doubt that bookmakers can turn a profit by betting both winners (a reasonable amount) and losers. Their profits might be reduced, but since when is a bookmakers license a guaranteed license to print money? If they cant make enough profit to sustain their operations here, then go back to the UK or hand back the license. Two other aspects of the NTRC’s responses cause great concern. This seems an open invitation for successful punters to take their business to one of many offshore operators targeting Australians. Surely, this poses a huge integrity risk? The NTRC have approved these T and C’s – thus the NTRC are condoning “harsh” and “restrictive” measures. That’s enough for me. 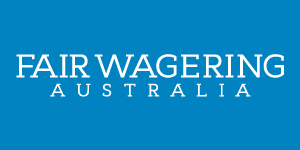 Given the powers, functions and objects of the NTRC, Fair Wagering Australia believes the commission is completely and utterly failing in it’s obligations under the Racing and Betting Act. The NT minister responsible for overseeing the commission, Hon David William Tollner MLA, must act to ensure the NTRC is indeed ensuring fairness and integrity are maintained for all participants. Apart from acknowledging receipt of queries to his office, the Minister has failed to respond to questions from Fair Wagering Australia. Regulatory changes on the horizon? Racing punter Richard Irvine has been in the media recently with appearances in the Sydney Morning Herald, Today Tonight and the ABC’s Radio National. Writing for Fair Wagering Australia and supporting our quest for fairness, Irvine expands on the huge issue of Australian online bookmakers banning winners and betting only losing clients. Could Federal regulation of sports and race betting in Australia be on the horizon? Media outlets are reporting that Sportsbet have signed a $40 million, 4 year sponsorship deal with Channel 9 to be their wagering partner for their Rugby League coverage. It is interesting Channel 9 are still pushing ahead with having a bookmaker as part of their coverage considering the backlash against Tom Waterhouse last year. Of course it as all about revenue for Channel 9 and $40 million goes along way to offset the $1.1 billion they paid for the rights to the NRL in 2012. The Sportsbet revenue also comes in handy for the impending float of Nine Entertainment Corp.
Sportsbet and various other bookmakers are determined to become part of our sporting culture because in their opinion they offer an enhanced entertainment experience by giving people the chance to make money whilst supporting their favourite football team. But can Australians really make money off these organisations? Bookmakers are in the business of selling people the opportunity to make money. If you are shut out by these bookies as soon as you turn a profit (no matter how large that profit is) more consistently than having one or two winning days aren’t they in contempt of their product offering? So where is the evidence of how ruthless I claim these bookies are? You don’t have to look far. ABC’s Four Corners did a story in May this year on the public backlash against Tom Waterhouse and his advertising. It was a well-put together, interesting story. Cormac Barry, CEO of Sportsbet was interviewed for the story. He painted Sportsbet in a positive light, as if they were the good guys of the bookmaking industry. It was difficult for people who understand the industry implicitly to watch, as we all know there is no more ruthless corporate bookmaker than Sportsbet. I would have loved the interviewer to ask Cormac Barry why profitable punters are shown the door by Sportsbet and only losers are welcome. Of course the interviewer was not aware of this and it was never asked. Interestingly, Cormac Barry inadvertently admitted the ruthless approach of Sportsbet on Four Corners. Whilst giving reporter, Marian Wilkinson, a tour of Sportsbets plush headquarters trading floor he commented that his team of “analysts” spend their days “monitoring customer behaviour, monitoring customer bets and looking for patterns in their bets”. This admission by Cormac Barry is actually the modus operandi for virtually all the corporate bookies in Australia. Gone are the days where if you were an analyst for a corporate bookie you would spend your days analysing the odds of a horse or sporting teams chance of winning an event. Now, due to the reach of the Internet, corporate bookies sit back and copy odds from other betting markets and bookmakers all over the world. They then let all their losing clients bet off those markets. The analysts then trawl through all bets on these markets looking for punters who back winners or worse still have a bet at the top of the market (where the odds shorten after their bet). When these punters with an edge are found they are shown the door. The old school skills of bookmaking are lost on the new breed of corporates. As business men and women they obviously have acumen, but as bookmakers they can only be considered as lazy, passive and talentless. The NRL place paramount importance on their image and reputation within the community. I would like to know what they think about their telecaster having a corporate relationship with an organisation that offer the community an opportunity only to lose money, and hence advancing the prospects of problem gambling in the community. So why do the bookies actions lead to problem gambling? I see it pretty simply. Problem gambling is when punters bet outside their comfort levels and financial means. As punters, we all know the feeling of when you just can’t back a winner. You get angrier and often try to bet your way out of it. Even the most experienced, successful gambler would have experienced this feeling. By the bookies only letting people experience the feeling of losing, it drastically increases the chance of a punter betting beyond their means. Further, if governments, via their regulatory bodies, condone an industry in which people can only lose money, isn’t that a problem? I have tried to get this issue some exposure within mainstream media. It has got its fair share, considering that there are much bigger issues in Australia. The disappointing aspect I find is that the racing mainstream media won’t touch it. You only have to watch an ad-break on TVN or Sky to figure out why. Luxbet, followed by Sportsbet, followed by Sportingbet, followed by Bet365 entertain us with their nauseating adverts. This absolutely is a big issue for racing. NT bookies have a growing 22% of the national wagering market. Sky and TVN should have enough independent journalistic integrity to at least allow some debate over the issue on their flagship programs, Racing Retro or Racing Review. Much smaller issues get a lot of airtime on these shows. With the reasonable amount of media coverage I have received, the corporate bookies, when asked to comment in response to my claims have mostly ignored the requests or used the same disappointing, embarrassing line, “we ban a very small amount of professional punters to protect the odds for our valued recreational gamblers”. Firstly, the vast majority of the “very small amount of punters” they ban are not pros, just recreational punters who spend a bit of time working out what horse, dog, etc. to back, and hence find an edge. Often they are punters who will bet small amounts like $20. Secondly, the bookies don’t care at all about preserving odds for their recreational gamblers; they care for their recreational punters as long as they’re long term losers. That’s the embarrassing aspect of their comment – that they “care” for their recreational punters. If they care for their punters why don’t they let them win if they are good enough, especially considering that is the product they offer for sale, the opportunity to win money? “Bookmakers will occasionally decline bets placed by professional gamblers. This is because their bets can distort a betting market. In such instances, the odds change, meaning average punters get worse value. Bookmakers protect the interests of average punters by restricting bets from a professional. Roughly one in every 10,000 bets is declined. This statement is an insult to the intellect of all Australian punters. The bookies the AWC represent feel they can go against rules that have been in place for over a century for on-course bookmakers. On-course bookies are obligated to bet all comers to ensure a fair marketplace for all. Australia’s leading racing regulators and politicians have installed and maintained this practice for all of time. AWC bookmakers don’t feel they should offer the same fair conditions. It is fortunate for AWC bookies that they found a tax friendly government and supportive regulator in the NT that allows them to behave like this. All bookmakers represented by the Wagering Council already have the odds in their favour. By banning the minority of Australian punters who are smart enough or lucky enough to beat the percentage already against them, means that the majority of punters who lose, will only ever be able to lose. As soon as they become winners they will be banned. All losing punters aspire to win, that’s why the industry exists. That’s why people continue to bet. No one is betting to lose. AWC’s example of a pro asking for $20k/$5k bet is unrealistic. It is in no way a reflection of how the industry works. Further, all I am asking is for all punters to be bet to win a minimum of $1k. That bet would be $1k/$250 at the odds they describe, some 5% of the wager they use as an example. This would have no impact on the bookies books liability. I am not asking to win $20k, just to win $1k. I feel that is a fair request, no one expects or wants to put a bookmaker out of business. Also, if bookies were to lay $20k/$5k in a bet from a pro and be forced to shorten the odds to $3.50, wouldn’t the bookie then push the odds of other horses out creating value for recreational punters on other horses? Or would they just leave all other horses the same price and have even more percentage in their favour? I think they would push the other horses out. That is how bookmaking works. Punters love fixed price markets because they move all the time. It’s all part of the fun of fixed price bookmaker betting. At least no one would be able to argue with them then. I have talked to the NT Government (who oversee the toothless regulator, NTRC) on many occasions and on many levels and got nowhere. The Minster for Business in the NT is the Honourable David Tollner. He has the power to change legislation. He has responded to me via email once when he told me to take my concerns to the NTRC. I did that and they knocked me back. In fact after my submission they my made it easier for bookies to pick and choose their clientele. Mr Tollner also advised me that there were plenty of alternate betting operators available to me. To that I say – If BP is selling petrol 20 cents cheaper than Caltex, as a consumer don’t I have right to shop at BP? Not to mention I am subjected to their endless advertising during my quality time with friends and family watching horseracing or sport in general on TV. The Northern Territory Racing Commission has a series of “objects” under the Racing and Betting Act – “fairness” being one of them. After Mr Tollner and the NTRC knocked me back I put the story to the media. Three significant media organisations picked up the story. I thought this media attention warranted me re-engaging with Mr Tollner and requesting a phone conversation to discuss the issue. I did this in writing. His office acknowledged receipt of my request and said they would be in touch. A month has now past and I have not heard from Mr Tollner. Aside from the banning punters issue you have to query the revenue corporate bookies in the NT actually raise for Mr Tollner’s government – especially if you are a resident relying on tax revenue to help improve basic amenities such as hospitals and schools. The NT-based bookies have paid a pittance in tax to the State Government since the first bookie, Centrebet, opened for business in 1992. Amazingly as their turnover grew, the NT Government saw fit in 2010 to reduce their turnover tax. Admittedly, they reduced their tax in the face of competition from Tasmania trying to lure the bookmakers down to the Apple Isle. Tasmania offered bookies a deal where their turnover tax would be capped at $258,000. The NT Govt. shot back with a cap of $250,000. They all stayed. This tax concession meant the NT Government went from receiving $11.3 million in 2009 in tax to a paltry $2.35 million in 2012. In the same period the bookies turnover grew by $1 billion from $4.7 billion to $5.7 billion. Yep, that’s right, grew by a billion to $5.7 billion. Governments allow gambling as it produces revenue for them and creates jobs within the allowed gambling industry. They usually take their fair whack, but the income the NT Government receives off $5.7 billion of bookmaker’s turnover seems a little light. Territorians are being massively short changed, not to mention the rest of Australia who are seeing potential revenue for their state governments leaked up to the NT. To put it into context, the NT lotteries turnover was $50 million in 2011/2012, the NT Government. saw fit to tax that turnover some $15.8 million. The bookies turned over $5.7 billion and payed $2.35 million in turnover tax. I’ll let the numbers speak for themselves. The only possible argument I can see that NT bookies and NT Government can use to defend the tiny tax the bookies pay is that they pay race fields fees to all racings peak bodies, and pay GST to the Federal Government. But none of this revenue goes directly to the NT Government. They could claim the industry creates jobs. The bookies employ 300 people in the NT. Every job in Australia is valuable but 300 is not exactly an amount that would cripple NT if the industry upped and left for Tasmania. They used to employ a lot more than 300 people but the bookies have moved a lot of their infrastructures, and therefore jobs, to Melbourne and Sydney. I guess there is more fun to be had in Sydney and Melbourne. “Thank you for seeking my input on this matter. Racing NSW does consider this to be a very important issue and is fully appreciative of your views on this matter. I was surprised and disappointed that the Northern Territory Government recently introduced a ruling that corporate bookmakers are not required to accept bets to a minimum amount and could further close the accounts of anyone they chose. Unfortunately, Racing NSW has no control over the regulatory requirements that the Northern Territory imposes upon wagering operators licensed in its jurisdiction. I agree with you that it does seem incongruous that, in this day and age of responsible gambling, successful punters can be shut out. It is unfair not only on the punters but also means that the wagering operators that operate in New South Wales and other States that are quite properly required to bet minimum amounts are at a disadvantage. In my view, the fairest approach would be for all States and Territories in Australia to have the same minimum bet requirements and wagering operators not have the ability to close an account, or restrict its operation, simply because a punter is too successful. That would ensure that the punters are given a fair go and that there is equality for the wagering operators”. Having arguably Australia’s most prominent racing administrator take time to give me his thoughts on behalf of Racing NSW makes me feel the principles of what I am campaigning for are right. NT bookies are 80% owned by European companies. They are bringing their business model to our shores and dictating to us on how to run our industry. Just ask any expert on the UK racing industry if the model has worked for the betterment of UK racing. Don’t be surprised if the term “dire straits” is used to describe the UK industry. These European companies have paid huge amounts of money through company acquisitions and big advertising spends to get access to the Aussie market. I feel they have massively overestimated the viability of the Australian marketplace. Sure we love a punt, but we have a population of 23 million not 500 million like in Europe. The market was pretty established and set before they came. I do not wish failure in business on anyone but I think some of these organisations are going to go back to Europe lighter in the pocket and with their tail between their legs. Mind you, when Ladbrokes, the biggest bookie in the world, opens for business here and some punters are not even allowed to open an account with them because one of their industry experienced bookmakers has recognised their name (yep, that happened to me), it is hard to have much sympathy for them if they fail. They’re a $2.7 billion company though, I’m sure they will be okay no matter how their down under experience turns out for them. “I would now like to address the issue of wagering regulation. Wagering in Australia is currently regulated on a state-by-state basis. Tabcorp has long held the view that a consistent and national approach to wagering regulation is necessary. Not only is it in the public interest, it is also in the interests of the Australian racing industry and sporting codes, and will deliver a better outcome for government. In the 2013 financial year Tabcorp returned more than $725 million to the Australian racing industry through wagering and contributions from our Media and International business. The regulatory regime for corporate bookmakers licensed in the Northern Territory is very different to the states’ framework. These differences have driven the increased activity of the Northern Territory licensed corporate bookmakers, who do not have the same licence commitments that Tabcorp does. Indeed, up to eight cents in every dollar spent with the TAB on a totalizator bet goes to the racing industry. This compares with only 1 to 2 cents in the dollar for bets placed with corporate bookmakers licensed in the Northern Territory. In the 2012 financial year, wagering taxes collected in the low-tax Northern Territory regime were a little over $2 million, despite more than $5.7 billion in turnover attributable to the Northern Territory licensed corporate bookmakers. In the same period, Tabcorp paid $292 million in state wagering taxes in NSW and Victoria on turnover of $10.8 billion, a proportion which is 77 times greater. Given one of the primary aims of licensing gambling products is to return a fair share of the proceeds to the community, the Northern Territory is grossly under taxing its licensed corporate bookmakers. I would also like to talk about tote odds products offered by corporate bookmakers licensed in the Northern Territory. These are products derived off our totalizator dividends. In simple terms, totalizator dividends are calculated taking into account Tab’s funding commitments to support the racing industry.. The low level of racing product fees and taxes paid by the Northern Territory-licensed corporate bookmakers, combined with the fact that they don’t have obligations to share revenue derived on tote odds betting products with the industry, enables them to offer enhanced tote dividends to punters. Over the medium to long term this regulatory difference will undermine racing industry funding”. I agree with Mr. Attenborough completely on all counts. His comments will cannibalise Luxbet (Tabcorp owned) a bit, but Luxbet’s plight is insignificant when compared to funding that the TAB provide to racing. The TAB needs to be allowed to protect this revenue. Without tote revenue staying at about 75% of the wagering market the industry in its present form isn’t sustainable. I also agree that corporates should not be allowed to bet tote odds. It won’t help me or other punters, getting best tote plus 5% is great, but it is not the corporate bookies product to bet on. The TAB administers and promotes their tote odds at their own expense, so why should NT bookies just be allowed to copy them? It really is the TAB’s intellectual property. Mr. Attenborough never addressed the issue of NT bookies banning punters. That’s because Tabcorp are right into it as well. Luxbet get rid of winners and now the Tab’s own fixed odds section go to great lengths to weed out winners. Surely Tabcorp has a responsibility above all others in the industry to give punters a chance to win? I think you will find the Federal Government will step in soon and announce nationwide regulation of the horseracing gambling industry. The economics of the situation will be too compelling for the Government to ignore. Hopefully the Federal Government will address punters being banned at the same time. If they need something to compare it to they could ask the Australian Stock Exchange. The ASX appoint market makers like Macquarie Bank to their derivatives market. Market makers are bookmakers of the financial markets. Market makers are obliged to transact with any investor who wishes to place a derivative trade with them. If they refused someone’s custom, they would be hauled before ASIC and be in serious trouble. It all sounds familiar, right? Right up until the bit about being hauled before the industry regulator. I have a phone conversation scheduled with Independent Senator, Nick Xenophon in early December. It will be interesting to get his thoughts and hopefully get the ball rolling for change. Not just change so punters can’t be banned but also change so that racings revenue is protected so racing can continue to grow and prosper. We have the best industry in the world; let’s keep it that way. The rest of the world are welcome to get involved but on our terms, not theirs. Because the way racing has been run in this country for all of time has led to the vibrant, rewarding industry we all love. Of course we can always improve and keep learning, which goes without saying. Maybe this is a rant or maybe I’ve hit the nail on then head. All feedback (positive or negative) is welcome below. Honestly – who are the clowns running this show? Just take a look at this Australian Wagering Council Statement in response to last night’s Today Tonight story.